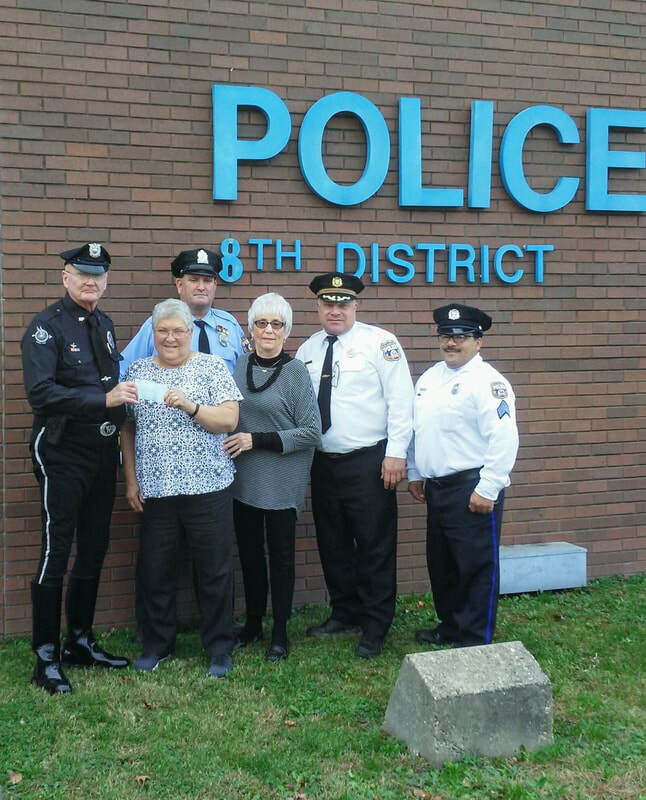 Jimmy Binns accepting a check from Wawa. 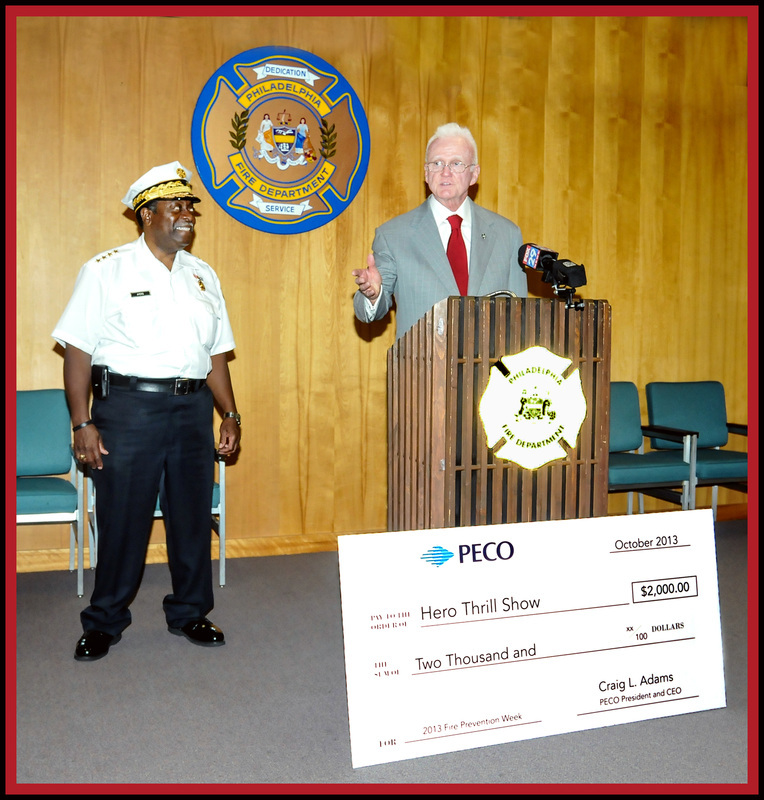 Jimmy Binns accepting a $2,000 check from PECO. 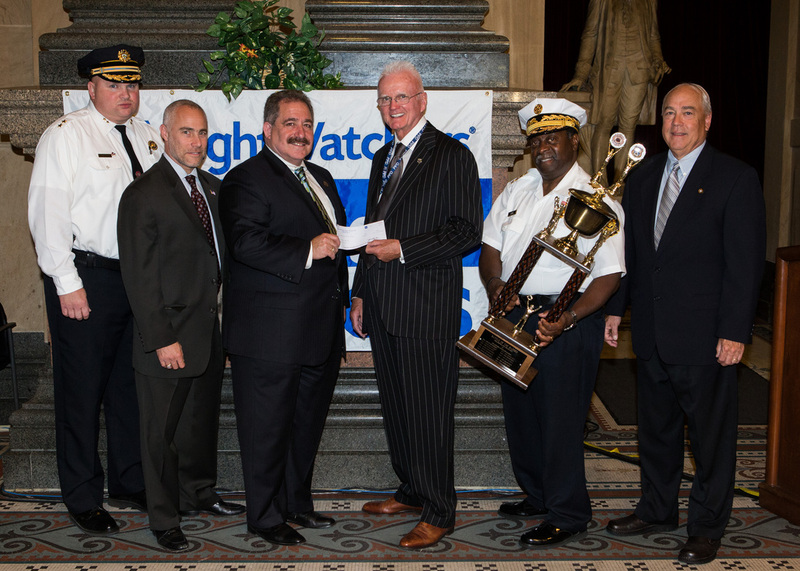 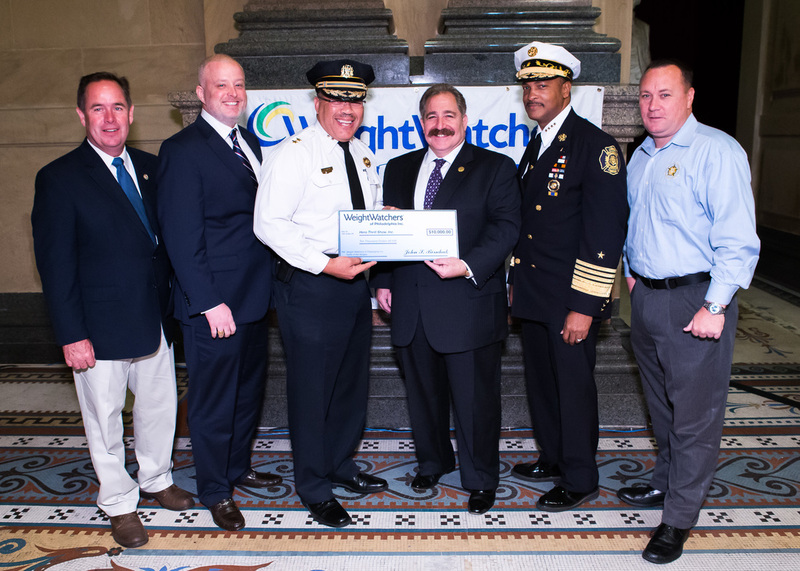 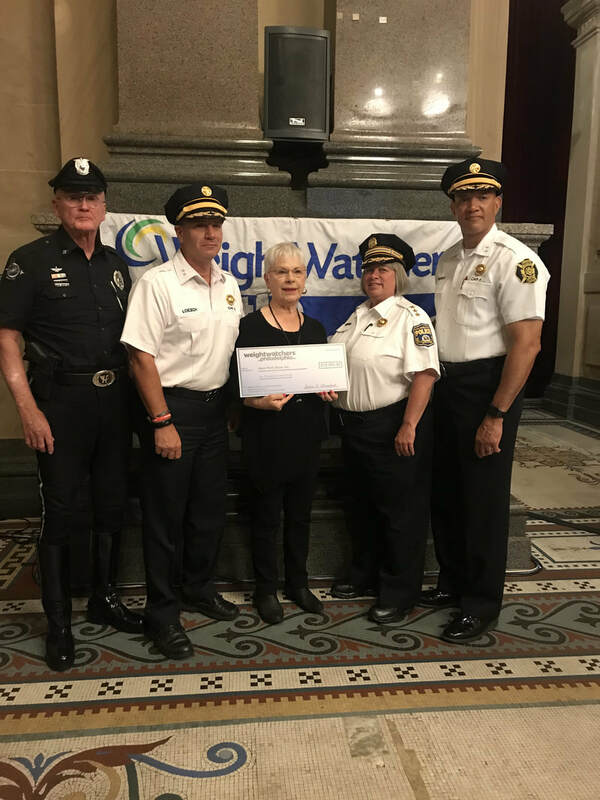 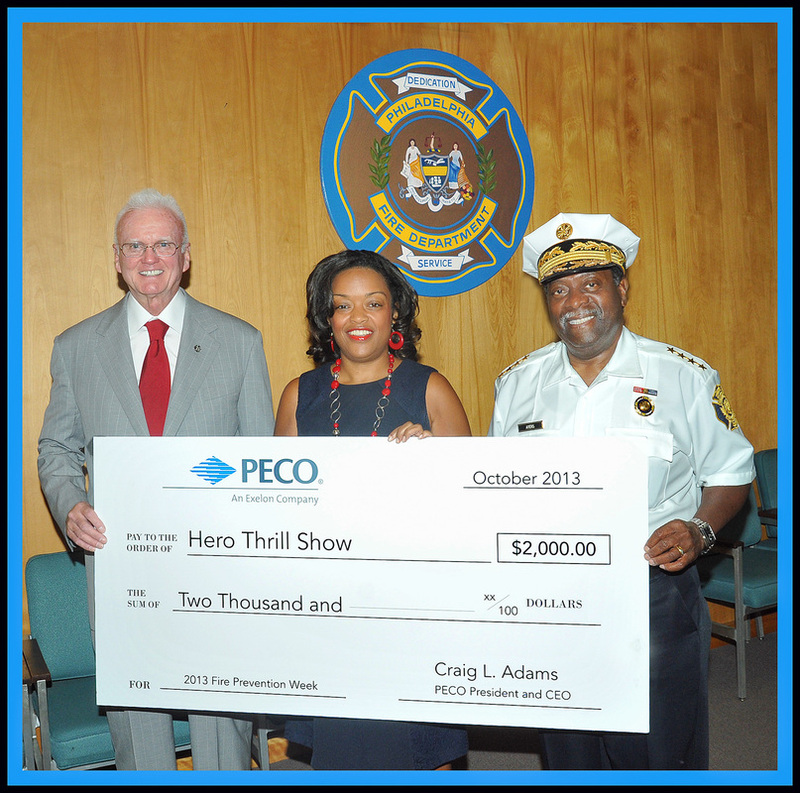 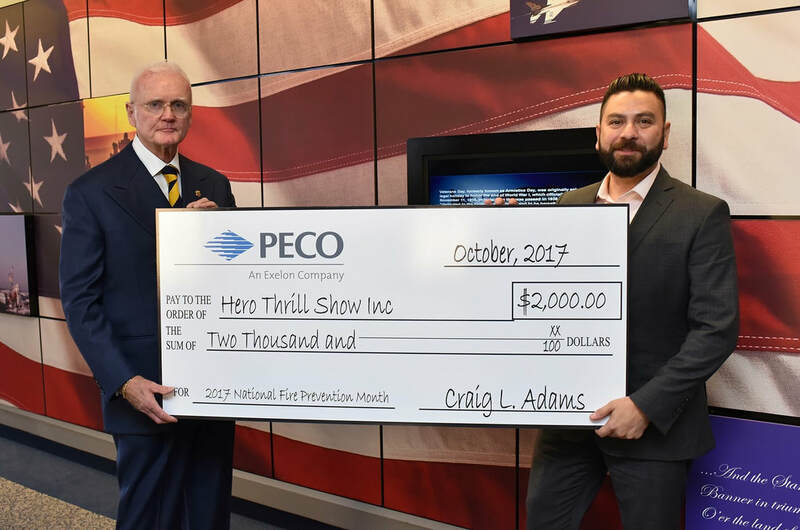 John Birnhak, (third from right) Vice President of Weight Watchers of Philadelphia, Inc. presents a $10,000 check to the Hero Thrill Show, Inc.
With Fire Commissioner Lloyd Ayers accepting a $2,000.00 donation to the 2013 Hero Thrill Show from PECO, a long time community partner.